Our current school holiday program, the “Raspberry Drop Rebellion” inspired us to look at our confectioners and the history of sweet making. 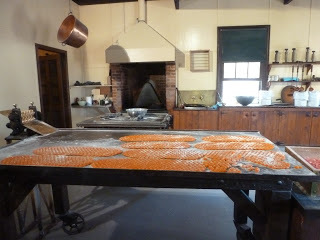 We already have a blog on raspberry drops and the history of our confectioners, so with the assistance of our Senior Historian Dr Jan Croggon, this blog is focused on the history of sweet making up to the goldfields era. From earliest times, ‘Sweets’ were precious rarities, and status symbols, dating back to 600 years ago, when sugar was a rare and expensive commodity. Sugar was closely associated with medicine, celebrations, and food preservation, and all of these came together in the early 1800s to be identified as ‘confectionery’, and sold in sweet shops. Sugar sweetened early medicines. Apart from sweetening sugar can also preserve fruits and vegetables. Sugar was supposed to be good for colds, and comfits (nuts or seeds covered in sugar) were considered to aid digestion in the later Middle Ages (around 1400 CE). In later centuries sugar was used to preserve fruit and flowers for the winter months and enhanced the luxury image of confectionery. 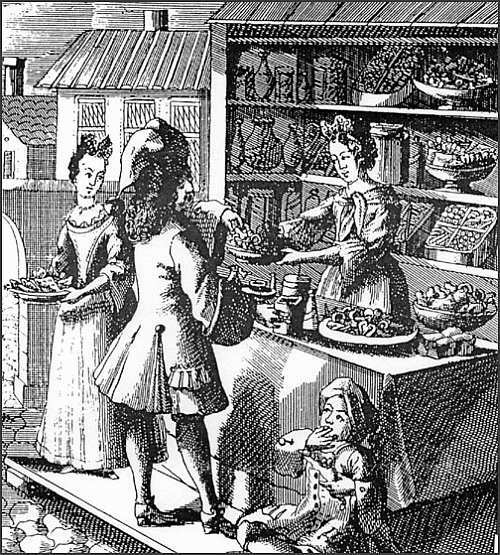 From the Elizabethan age (around 1550 CE), through to the 18th century, sugar was a rich indulgence – and then falling sugar prices and technical innovation made ‘sweets’ available to more people, and ‘sugar became a necessity, and sweets a commonplace part of childhood.’ (Mason 1999). 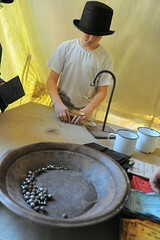 From Roman times, confectionery ingredients included almonds, pistachios, and fruits. As well, cinnamon, cloves and ginger were traded by both the Romans and Moslems. Orange and lemon trees were introduced into Europe at the same time as sugar. Rose water came from the East, and liquorice (originally from Central Asia) has been grown in Britain since the Dark Ages (approx. 500 CE). 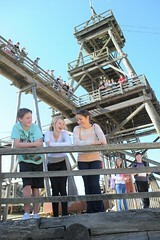 Sugar cane and sugar refining originated in the East and spread to the Mediterranean in the 7th Century AD. 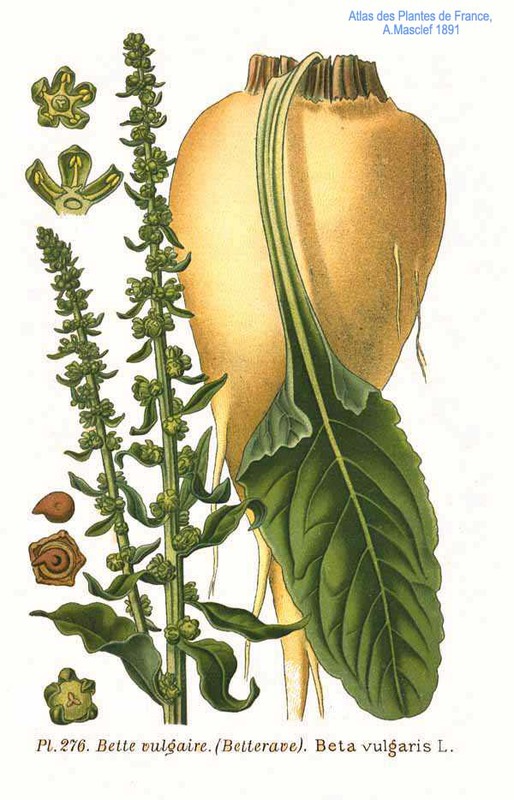 Sugar beet was grown across Europe by the end of the 19th century. Modern refining techniques in the middle of the 19th century meant that confectioners could buy inexpensive refined crystal sugar. 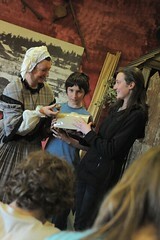 In Victorian times, sweets became popular. Many sweets now considered traditional were first recorded between 1800 and 1850 . Front window of a sweet shop. State Library of Victoria collection. Other Victorian confectionery included brandy balls (similar to bullseyes or humbugs), and Edinburgh rock. A popular trend was for confectioners to commemorate Napoleonic war military and naval heroes in pulled sugar – Wellington Sticks (red, blue and yellow), Nelson balls (red and yellow), Bonaparte’s ribs (striped yellow or pink), and Gibraltar rock ( a pattern of red and white sugar). Sweets to be sold on the street were typically wrapped in paper – in fact, Acts of Parliament were known to have been used! Amongst the most popular selling item for one sweet seller were his sticks of rock, which, when ‘snapped asunder’ presented a ‘coloured inscription’ – such as ‘Do you love me?’ or ‘Do you love sprats?’, or ‘Lord Mayor’s Day’, or ‘Sir Robert Peel’. Apparently this doubled his profit! to display their skill, and all kinds of dazzling confections were created and displayed for the world to admire. Advances in the preserving of fruit inspired confectioners, and pear drops, fruit drops, sour cherries, pineapple cubes survived and became popular. 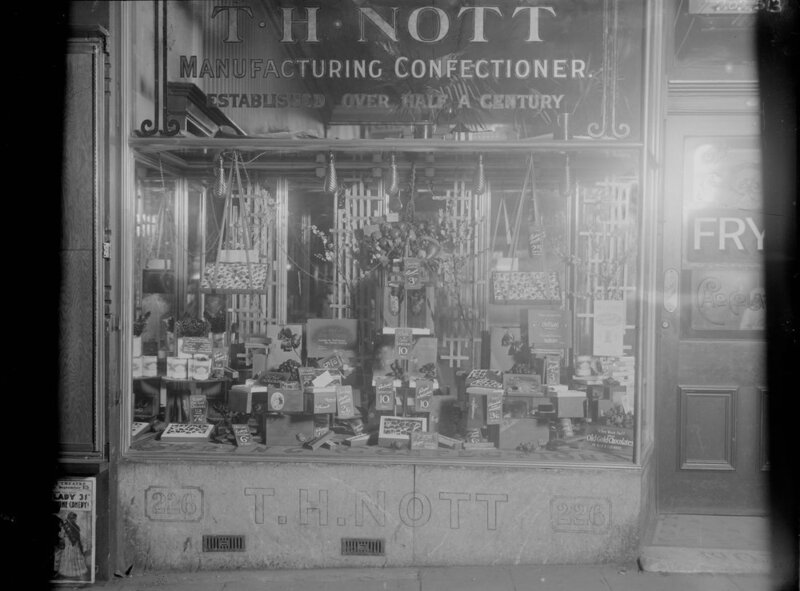 The new rail network also facilitated the fast and easy transport of sweets across the country; container quality improved, as did attractive labelling: all of these aspects improved sales. 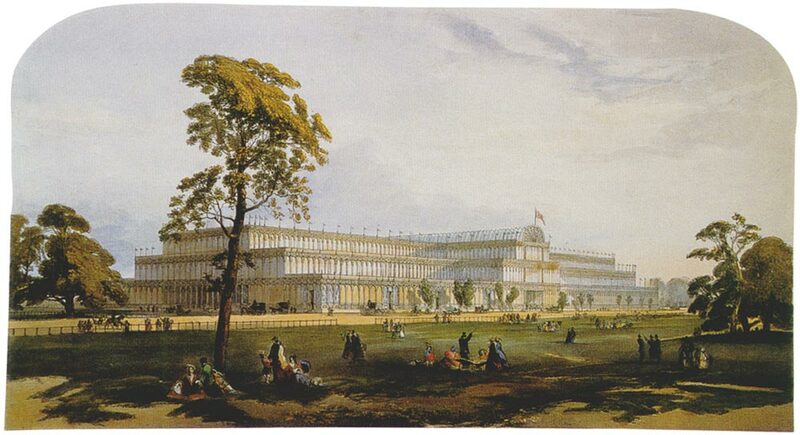 1851, and the advent of industrialisation which marked the Great Exhibition, saw a change from small, individual, premise-based manufacturers, to large-scale industrialisation, and the development of wholesale national distribution networks. Boiled sweets, rolled out ready for separation. The rough and ready ‘cuisine’ of the gold fields allowed for few indulgences – especially in the early years – and sweets – perhaps even the ubiquitous raspberry drop – seemed to represent a world of lavish excess and sweet delight unobtainable anywhere else on that harsh and turbulent landscape. 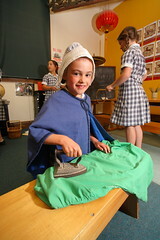 Children then, as now, never fail to respond to that seductive sweetness which takes them to another, magical world. 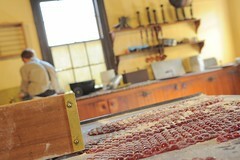 Raspberry drops being made at Sovereign Hill’s Confectioners. 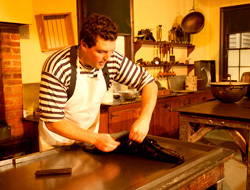 When you come to Sovereign Hill you can watch our confectioners in action, making hard boiled lollies in the traditional method. 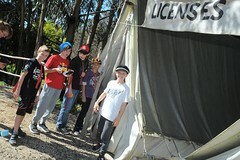 You can find out about the factory and shop on our animated map. 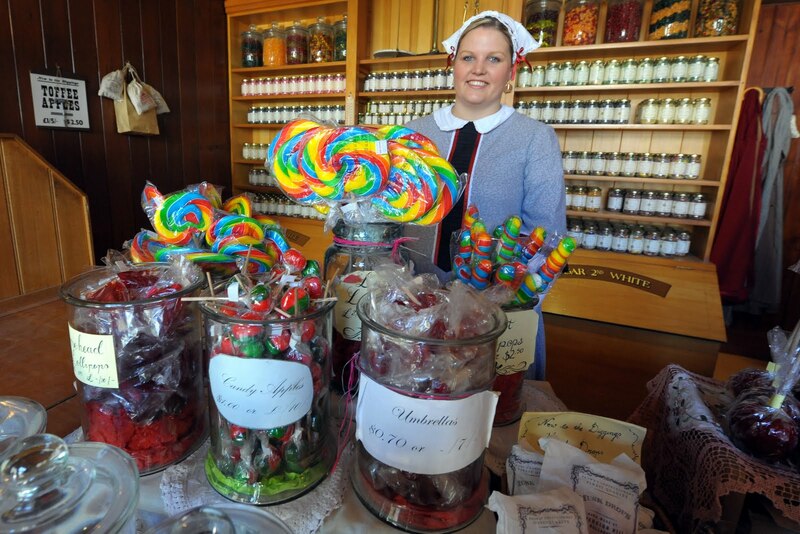 At Beamish, a similar open-air museum in England, they also have a confectioners and you can see some images from their factory online. Mrs Beeton’s book of household management, a very popular book in the Victorian era covered everything from laundry to the making of confectionery. There are some great books about the history of sweet-making, including two by Laura Mason: Sweets and Sweet Shops and Sugar Plums and Sherbet: the prehistory of sweets. Another good book is Candy: the sweet history by Beth Kimmerle. 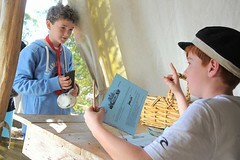 A great link to understand the history of food (including confectionery) is the Food Timeline. It includes a detailed description on the production of Lemon Drops that began around 1827. If you would like to learn more about Goldfields sweets, then visit our earlier blog “Raspberry drops and other 1850’s confectioneries”. 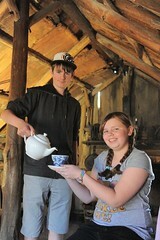 This entry was posted in History Teaching and tagged 1850s food, 1850s lifestyles, sweets. Bookmark the permalink. 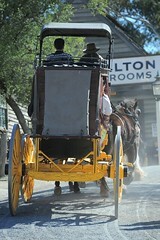 I go to Sovereign Hill just for the lollies. Raspberry Drops are the flag ship but you can’t go past the strawberry ones in the mixed jar.